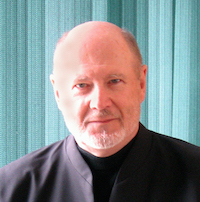 David Ogden Stiers was NSO Resident Conductor from its beginnings in the early 1990's until his death on March 3, 2018. Although best known as an actor, he had an active secondary career as a conductor. He guest conducted more than thirty American orchestras in such cities as San Francisco, Los Angeles, San Diego, Honolulu, and Chicago. Stiers’ acting credits included Broadway appearances in Ulysses in Nighttown and The Magic Show, and toured in The Three Sisters, Measure for Measure, and The Beggar’s Opera. His film credits included Oh God!, The Accidental Tourist, Beauty and the Beast, and Mighty Aphrodite. On television he played major roles in MASH, The Innocents Abroad, and Murder She Wrote. He narrated the PBS miniseries on Ronald Reagan and New York City. He was nominated three times for Emmy awards. Of his death, Music Director Adam Flatt wrote: "All of us at the NSO are heartbroken. David Ogden Stiers was a generous, loving, and inspirational friend and pillar to our orchestra, and, indeed, to all of us individually. Our orchestra would not be here if it weren't for his great support and inspiration over three decades. His depth of musical feeling, love for our musicians, and charisma made his performances soar when he was on our podium. We will all work to keep David's spirit alive in all of our performances."